Cookie Pie. Two words…cookie and pie….this is a great combo when created with almonds, coconut, cacao, maple syrup and yum. 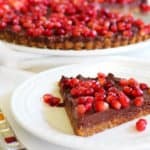 It is still summer, and very hot, so it is the season for raw desserts that don’t require you to turn on the oven. 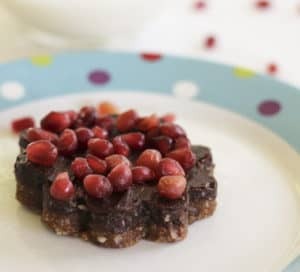 This freezer dessert will be the refreshing treat that you need on these hot days! This dessert is vegan, raw, gluten free, dairy free. Take a bite! *Note: If you are going to cut into cookies, use a square pan and line with parchment paper so that the dough doesn't stick. Mix all ingredients in food processor and pour onto frozen crust; return to freezer for 1 hour. Mix all ingredients and pour on top; spread quickly with knife as sauce will freeze. Serve slightly frozen or if you prefer, you can thaw and store in refrigerator for a softer texture. Remove crust and filling from freezer. 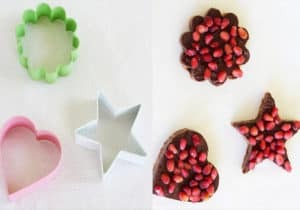 Before spreading cacao, allow to thaw enough that you can cut with cookie cutters. 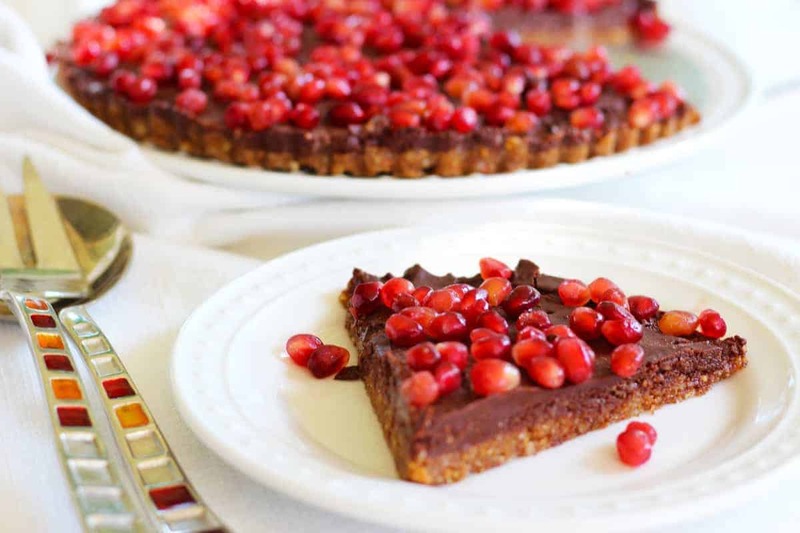 Spread cacao drizzle and sprinkle pomegranate seeds. I got these deep cookie cutters at Target.